Adding the taste that changes with the times to the tradition passed down from our ancestors, what we pursue is fine sake (sake) that can only be made at a place that grows rice specifically for the purpose of sakemaking. So Kasai is the best environment for sakemaking. 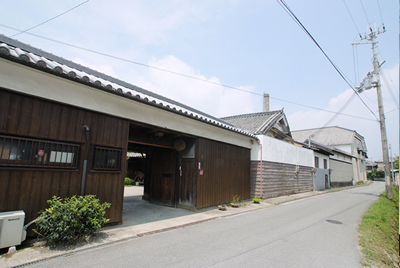 In Kasai, you can harvest good quality sake rice such as Yamadanishiki, Hyogo Yumenishiki, Gohyakumangoku, so it can be said to be the best place that grows sake rice. Of course good quality sake rice is important, but what's also important is the water. This environment, where we can use the cool and clear subterranean water from the mountains of Tanba, is really the best for sakemaking. 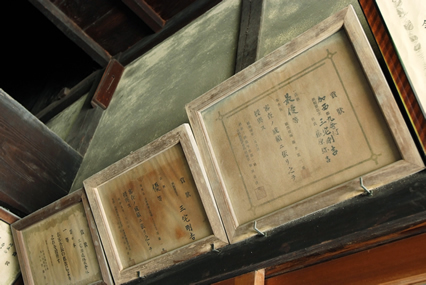 Our company was established in late Edo Period in Bunsei 2 (1819). Since then, being consistently strict about the rice and the water we use, and the people we hire, we have been making sake in the traditional way: by hand. Tracing back through history, it is said that our company was originally also a local ruler company of the village under the Tokugawa shogunate, and traded sake rice with various domains and the direct service groups of the Tokugawa shogunate. We suppose that we started sakemaking because of this. 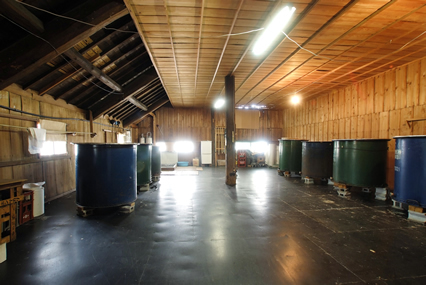 The storages that were used for sakemaking back then are still here. Even though 200 years has passed, while they have been fixed and reinforced, they are still at work. Please tell us what you insist on when it comes to making sake. "Yaemaki." They are used when extracting sake. A heavy rock is used as a tool to keep the bags suspended. Precisely because this is a place where sake rice is grown, we are very particular about selecting the sake rice. We have made a contract with a farm in Takacho, which is known for Yamadanishiki, and have them grow organic rice for us. Although organic rice is hard to grow because of the height of rice plant, we still value pesticide-free, comforting, and safe sake rice. This organic rice also has the approval of "Organic JAS", which shows the product is an organic agricultural product, from the national registration authority. 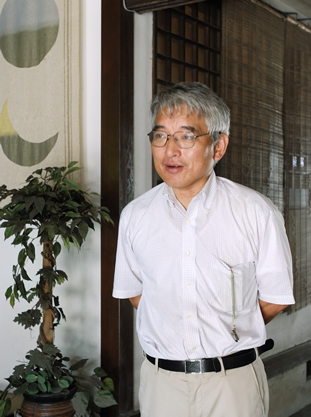 The one who sells this organic rice to us is Tajima Toji the Sakemaker Group, with whom we have had a long relationship. With their traditional skills of long-period brewing,, they make fine sake with great care, bottle by bottle. Because I trust them, I never interfere in the sakemaking. I am the sixth family head, and I've heard that it was named after the fourth family head, who was a master in growing chrysanthemums. Contrary to the current fashion, which is to be light and spicy, our sake is the old style with a heavy taste. This area is in the inland, so it is hard to get raw fish. From the old time, it has been an area where vinegared mackerel and mackerel sushi are loved. This sake has the taste that isn't any weaker than those dishes, with strong and sour tastes. It's the so called 'country-side sake' that complements the local cuisine culture and the climate. It won the gold prize in Zenkoku Shinshu Kanpyokai (the National Research Institute of Brewing) in Heisei 23 and 24 (2011 and 2012) in a row. What kind of expansion do you expect in the future? As sakemaking is something we've been doing for so long, I want to continue the history and the tradition with a thankful heart. Something we did a while ago in a collaboration with wine sellers was make a pure-rice special brew called 'Kita Harima Yumekaido (Northern Harima Dream Streets)' with organic Yamadanishiki rice. I think combinations like this are interesting. 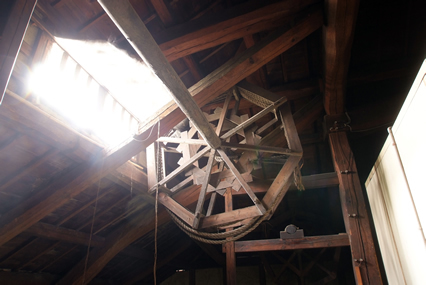 Even though there seem to be a lot of things to consider, such as the expansion of the outlet or Toji the Sakemaker Group, I want to try hard so that we can pass down these methods that we have been using.